Jazbaa is the latest Bollywood film to feature Aishwarya Rai Bachchan in the main lead role is said to hit the floors from this December. the opposite lead role to Aishwarya in this action thriller film. 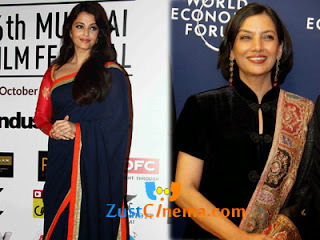 Now the latest addition to the cast is Shabana Azmi. The versatile actress will be playing the role of Irffan's mother who fights with Aishwarya Rai for the justice. Irffan Khan is essaying the role of a suspended police officer in Jazbaa while Aishwarya Rai will be seen as a corporte lawyer. Currently the movie is in pre-production phase.